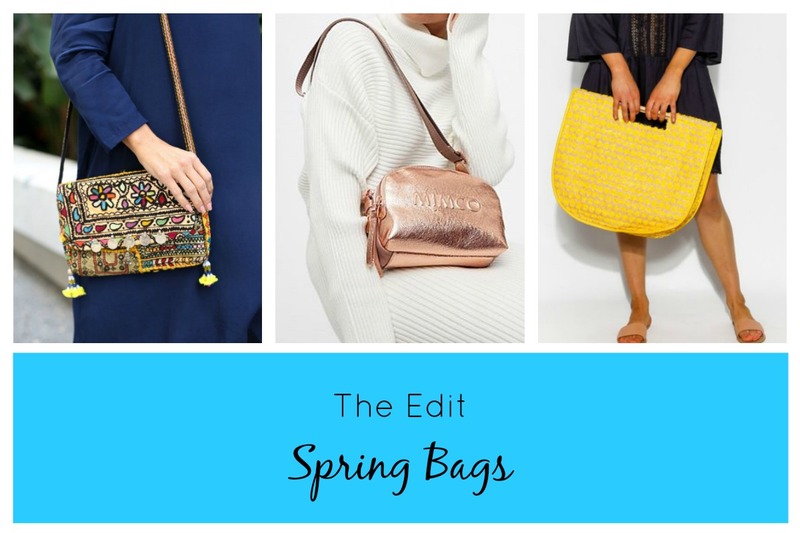 Spring has sprung and what simpler way to add some colour and new season trend to your outfits than with a new Spring bag. I mean a bag always fits, is useful and can be a cheap ‘n cheerful purchase. 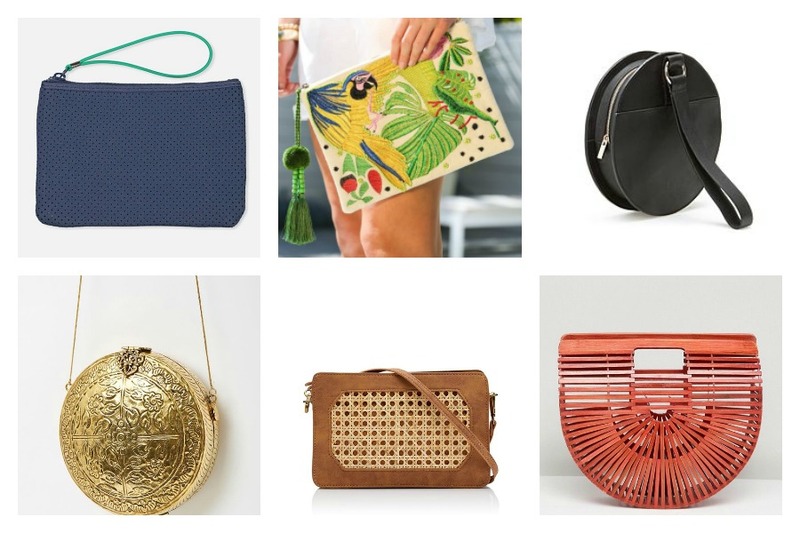 Whether you are after a spring straw tote, colourful clutch or ‘oh so hipster’ hip bag this post will have something for everyone. A bag can elevate an outfit from ‘day to night’ and the right bag can sing your personality style even when the outfit is understated. 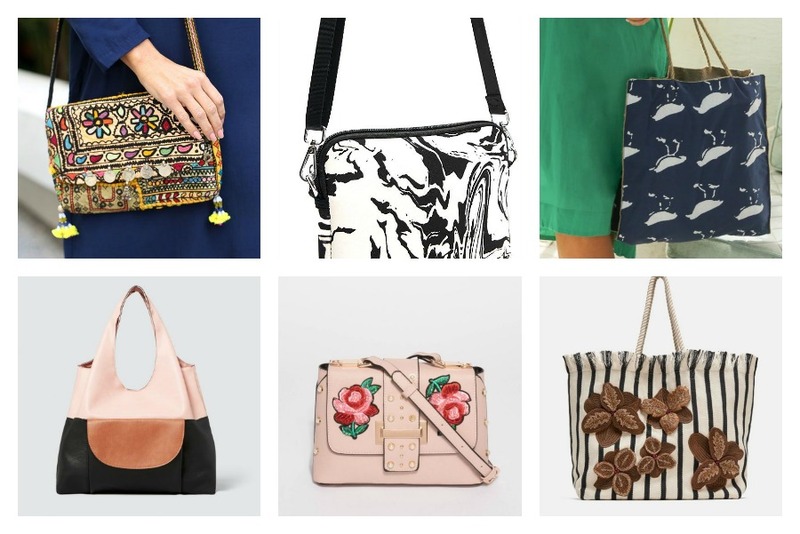 If you are wanting to ‘try a trend’ then dip your toe in the water with a bag, let it do the trend talk for you…this can be a cheaper option than going ‘all in’ for a new season trend. 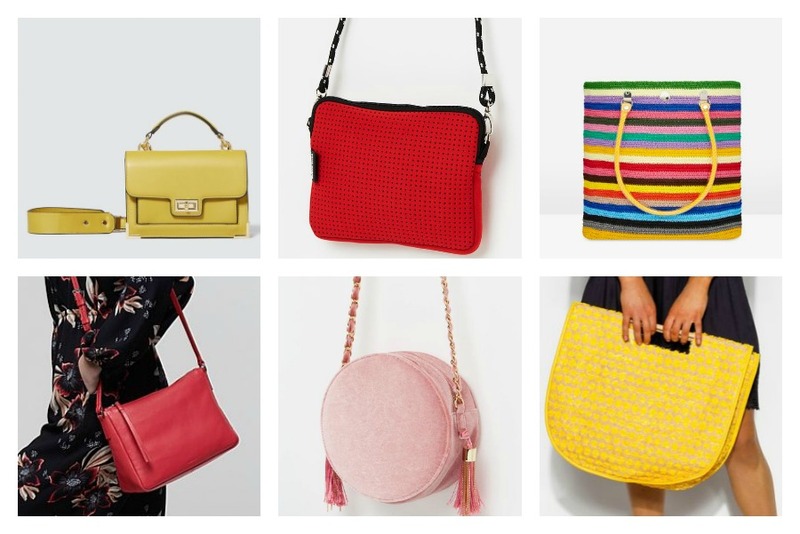 Right now Spring bags are hitting the stores in neoprene, straw, raffia, rattan, leather, pleather, and are anything from subdued colours to bright and colourful. Heck there’s even beading and sequins to satisfy a gals bling dreams. 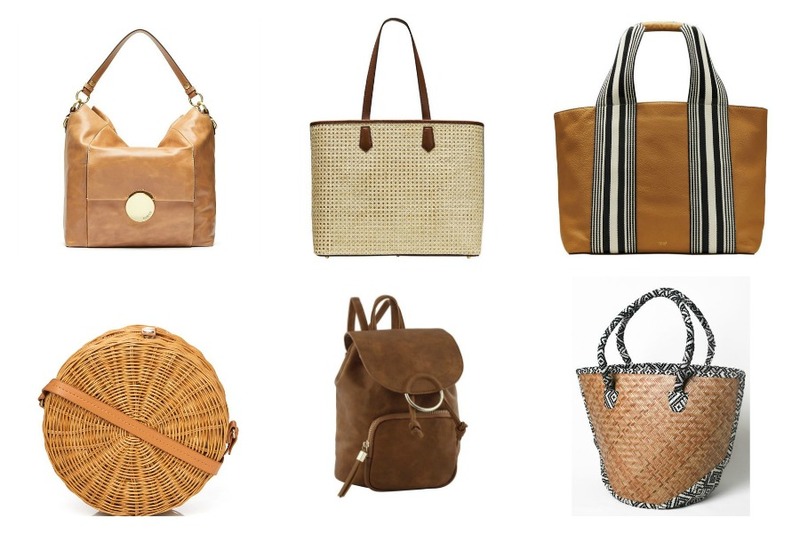 Whatever your bag make sure it suits your needs, think about pockets, closures, wear and tear and care of your new bag. Of course if your love of a bag runs deep (like me) you won’t mind spending a few extra dollars on the right one. Sign up to store newsletters for introductory discount offers and to be first in the know of new releases and sales. If the budget doesn’t stretch to full price or new season then hit up the ‘sale’ section of your favourite stores or factory outlet shopping and cross your fingers they have the one you love in the budget that’s perfect for you. Are you ready to go Spring bag shopping? 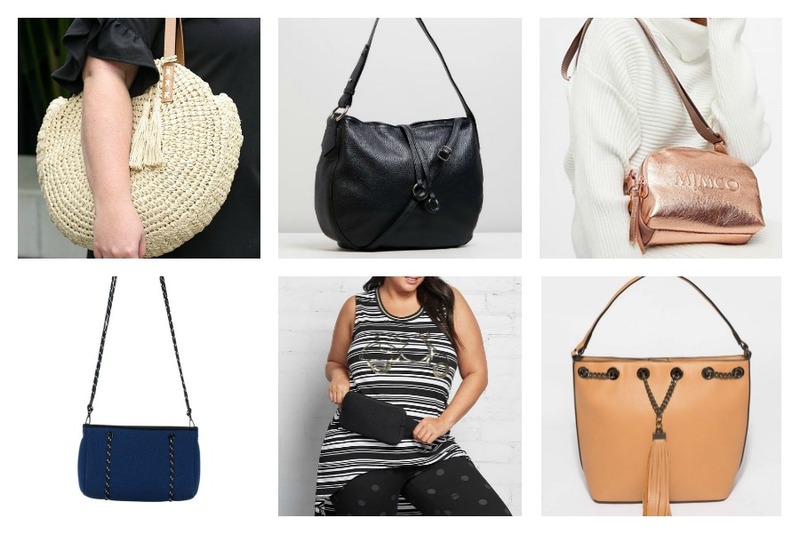 Ok, read on for some of my favourite Spring bag styles. I think I might need to go out & get myself a new bag – so much gorgeous inspiration! Hope you’ve found something here to put a Spring in your step! This post contains affiliate links which means if you click and purchase I may receive a small commission but you don’t pay any extra. Neat huh! Please see my Disclosure policy for more info.